Feme: 2030: not enough oxygen in Oceans to sustain marine life. 2030: not enough oxygen in Oceans to sustain marine life. The National Center for Atmospheric Research (NCAR) said that by 2030 the ocean will possibly have an alarming level of depleted oxygen, which could affect the marine life and human resources as well. Again, climate change is behind this news. 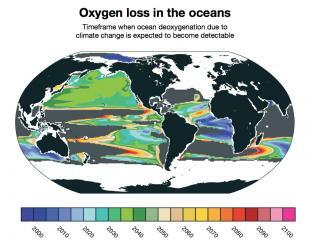 Loss of oxygen in the ocean is one of the serious side effects of climate change, and a major threat to marine life. According to a study published in the journal Global Biogeochemical Cycles, "a warming climate can be expected to gradually sap the ocean of oxygen, leaving fish, crabs, squid, sea stars, and other marine life struggling to breathe". Fish and other marine animals survive underwater because of the presence of oxygen, with reduced oxygen their potential to thrive will be compromised. Besides, the oxygen level is important to regulate metabolic and biogeochemical processes that happen in the ocean. As our ever-warming atmosphere heats the surface of the ocean, the oxygen content starts to fall. Also, as water warms, it expands and gets lighter. 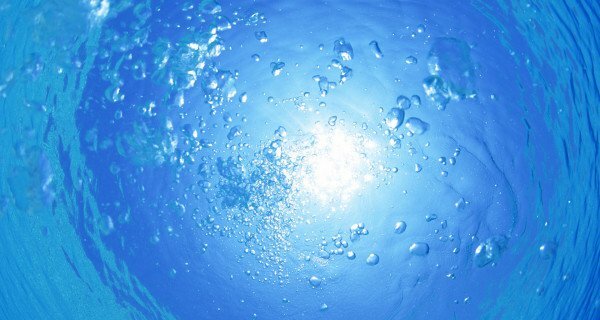 This makes oxygen less likely to sink, which in turn reduces the transport of oxygen from the atmosphere into the deep ocean. Therefore, marine life in deeper waters will be threatened as well. There are plenty of reasons for us to try and curb climate change, but lets just add the very serious risk of compromising the entire marine life to this list. If such predictions do happen by 2030, they won't just affect marine life but the natural cycle in life. Imagine how a dead ocean ecosystem will affect our livelihood and all the direct and indirect resources we extract from the oceans. Marinerocean is best for Yeezy 350, Yeezy 350 v2, yeezy boost online shopping store with high value and best price on marinerocean.org.